LAHORE (92 News) – A woman and her newborn baby died due to alleged negligence of doctors in a private hospital in Lahore’s Shahdara area on Tuesday. Faiza, a resident of Begum Kot, was shifted brought to hospital where she delivered a baby through an operation. However, both died due to alleged negligence of doctors after some hours. After the incident, her relatives stormed into the hospital broke doors and windows of the hospital. The administration tried to stop the protesters and both sides had a scuffle. As a result, three people died. 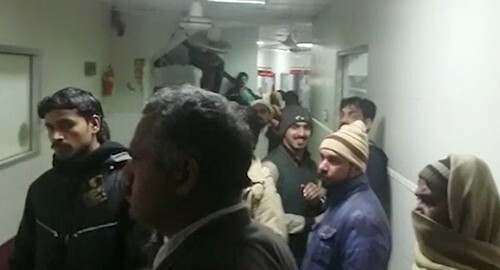 The hospital guard resorted to aerial firing to disperse the protesters. Later, the protesters reached there and arrested the guard.